Thanksgiving is a time to spend with family and feel grateful for things that make you happy. Celebrate the holiday by making your own “Thankful Turkeys,” a craft that teaches younger kids gratitude and makes a fun table decoration. After creating “Thankful Turkeys,” have a conversation with your kids about what they’re thankful for. Step 1: Cut out turkey feathers from colored paper. 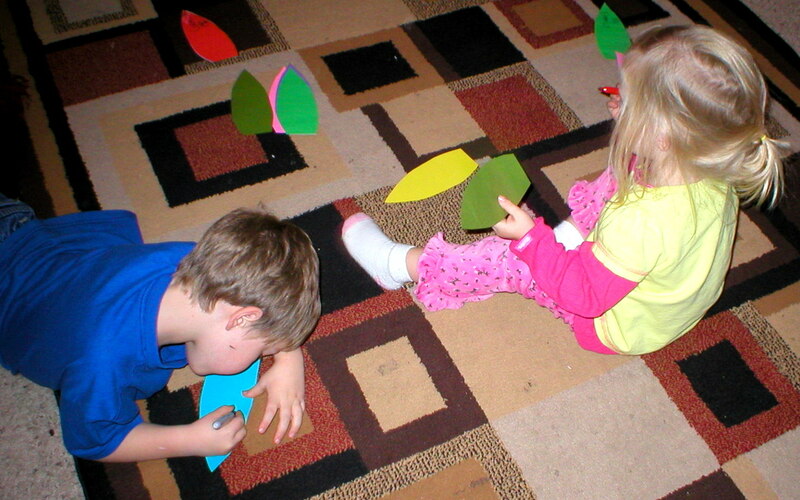 Step 2: Have your child, if they can, write something they are grateful for on each feather. Aim for the tip of the feather so you can glue it to the turkey without covering up the words. Note: It may help to have a conversation earlier about everything they are thankful for so they have ideas about what to write. Step 3: Shape a brown piece of paper into a medium-sized oval. 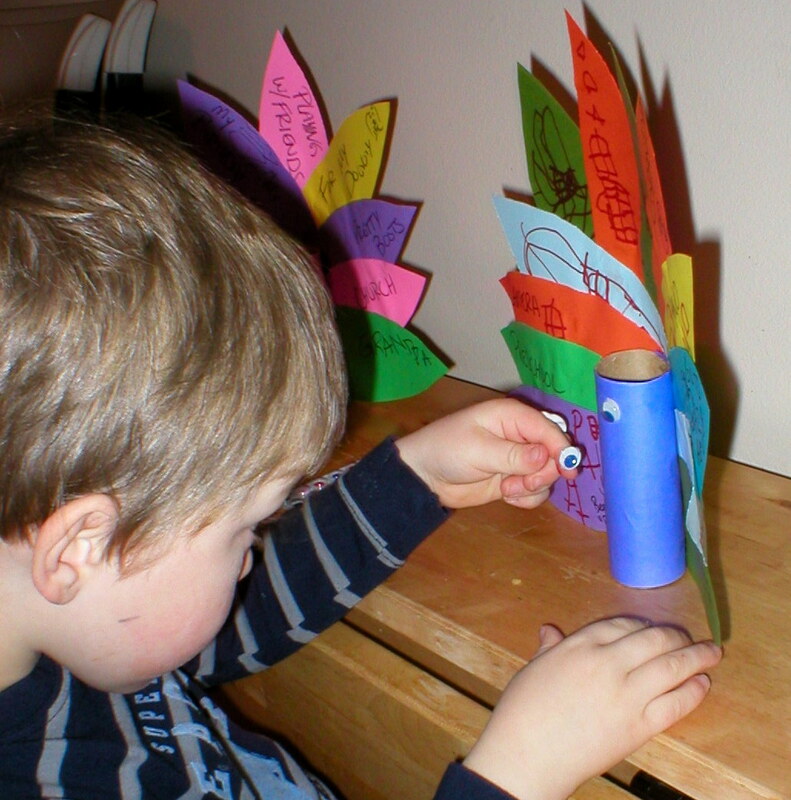 Have your child color or decorate the piece of paper for the turkey’s body. 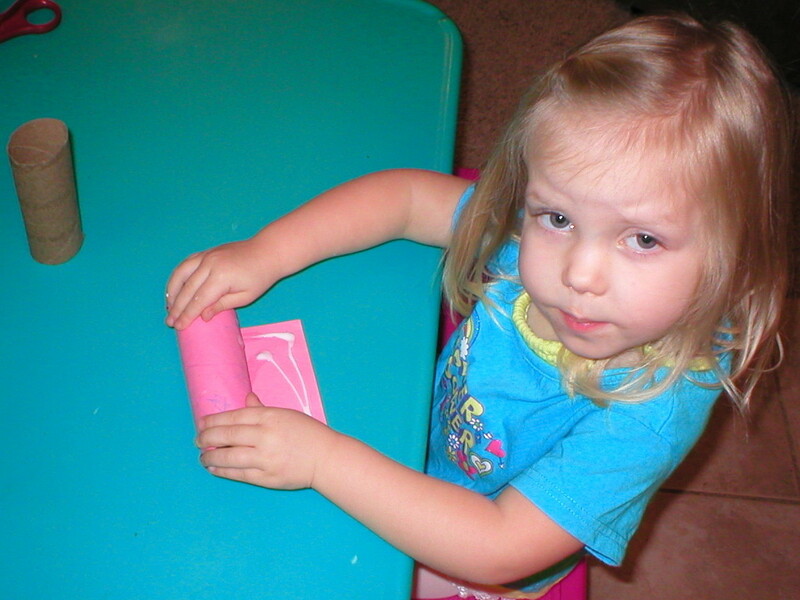 Step 4: Cut the paper to fit the height of a toilet paper roll and attach it to the roll with glue. Step 5: Glue the feathers to the turkey’s body. Step 6: Add eyes and the turkey’s face. Let them get creative! Step 7: Let your turkeys dry and leave them out for display. You have now made some festive “Thankful Turkeys!” Discuss what your child wrote on each feather and ask why they are grateful for each thing. Then, share what you are thankful for to teach your child the importance of gratitude.